For the last 130 years, Maison Joseph Drouhin has been in the hands of the Drouhin family. Today, the fourth generation is at the helm, animated by the same passion that inspired the founder of the company. Joseph Drouhin has adopted the biological and biodynamic approach. Only natural products are used in the vineyards and all procedures show the utmost respect for the soil, the vine and the environment. The style of Joseph Drouhin is an alliance between character, balance and harmony. Wines meant to be drunk young are fresh and subtle; wines meant for keeping acquire with age a luscious complexity. The wines of Joseph Drouhin are found on the finest tables. 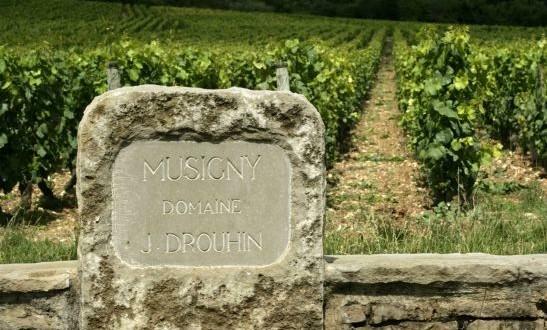 Joseph Drouhin is proud to bring the best of Burgundy to the whole world. “A truly convivial wine. Owing to the careful blending of various terroirs, the result is a wine of great charm. It has a lovely raspberry colour and a brilliant hue. The nose is both refined and intense, with notes of violet, peony and red fruit syrup. As you drink it, it feels fresh and silky.